World-famous dumpling house Din Tai Fung has chosen their first (and perhaps only) Bay Area location... and it's not in San Francisco. 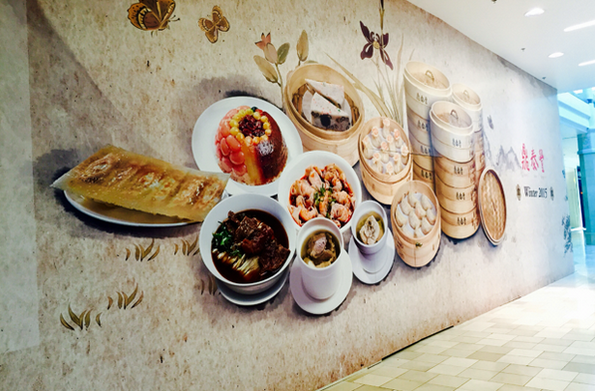 Din Tai Fung is opening a flagship 8,200 SQFT restaurant in Valley Fair (next to J. Crew). There are only five of these restaurants in the US, three in the LA area and two in Seattle. When the Seattle one opened up, the lines to get in there were three hours long. This is yet another big win for Valley Fair, which like it's neighbor across the street is bringing in multiple world-class stores and restaurants. This is likely only the beginning since they are about to start on a $600 million expansion that will make it the largest mall in Northern California come 2017. The expansion includes a 150,000 SQFT Bloomingdales, an ultra-premium home store called Pirch, a luxury movie theater, and a Santana Row-style outdoor restaurant/lounge area. Technically, the address will be in Santa Clara, but it's a huge win overall for VF. I go to DTF whenever I'm in SoCal, so really looking forward to the opening of this location!